My buddy Pete Zebley is using a picture of one of his paintings accompanied by my mysterious physique. Check out the new hotness. His link is not only in this post, but on the blogroll to the right. 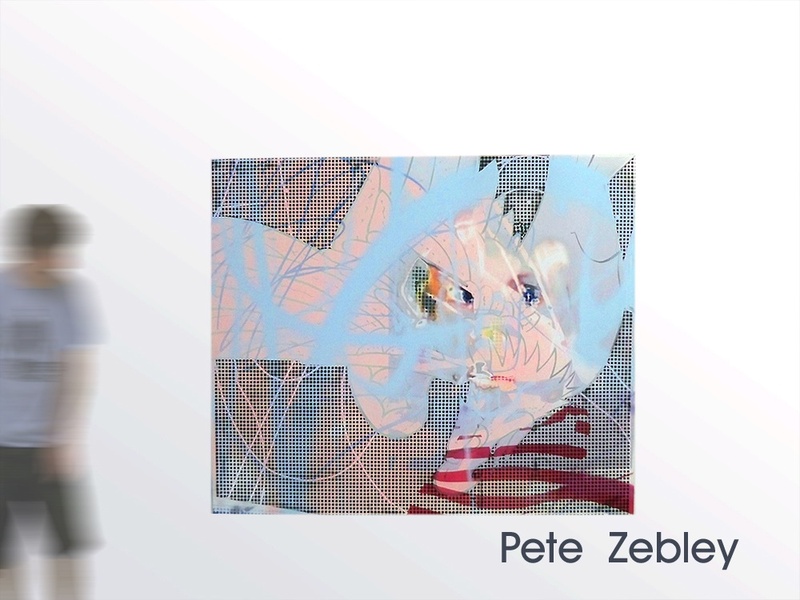 This entry was posted in Art, Contemporary Art, Personal Interests and tagged Art, Contemporary Art, Painting, Pete Zebley on April 13, 2010 by seanhwilliams. I finally got some decent pictures from the exhibition in Budapest. 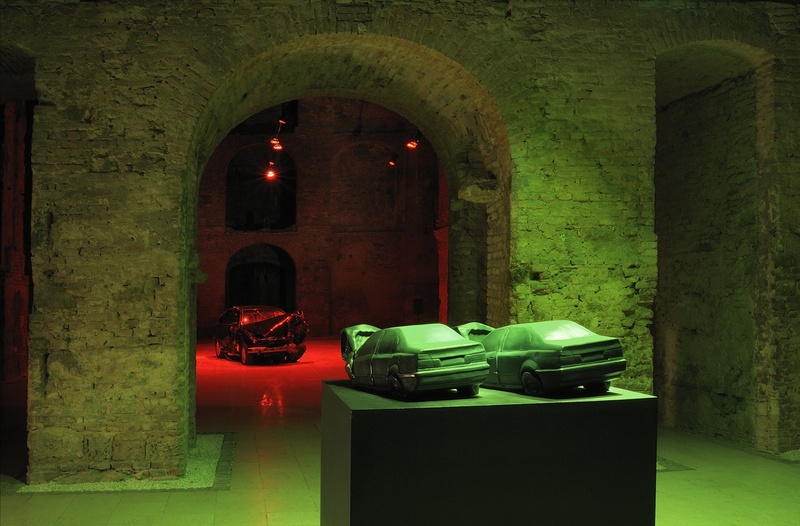 The cars look great, and Hajnal will have them on display at the Kiscelli Museum until the and of May. All in all, it was a great trip and I really love the city. The room where the full size car is installed is HUGE. 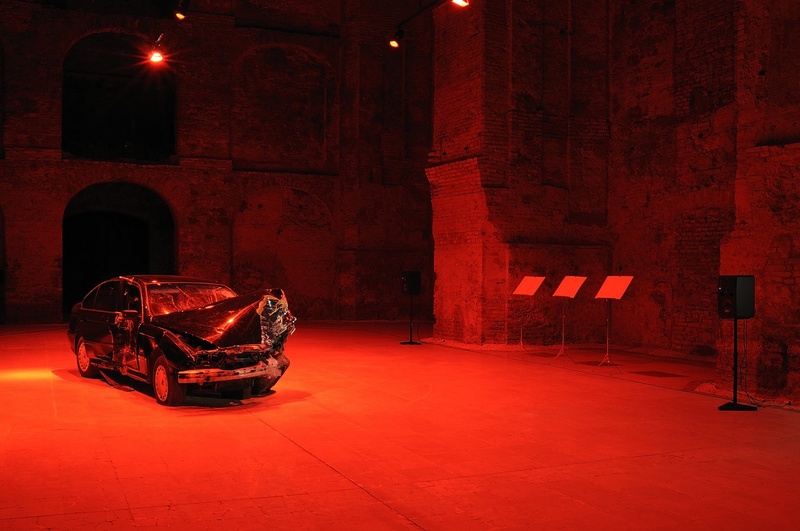 It used to be a cathedral and the sound is amazing. It was great to finally see the car I was modelling in real life! I think I did okay working just from photos, but mine turned out to be a little more sporty than the real life version. 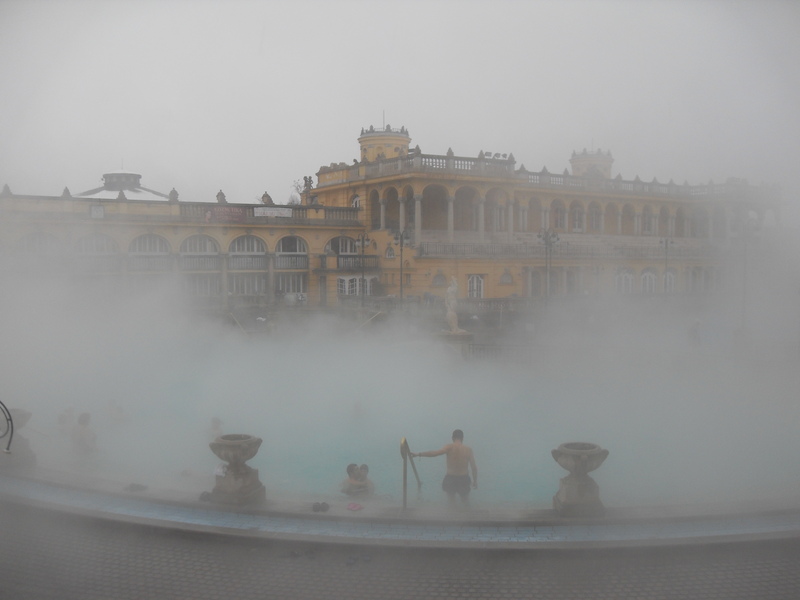 It snowed on the day of the exhibition, but we spent most of the day at the outdoor thermal baths with little snow flakes falling on our heads and creating a massive fog cloud over the pool. That was a great day. The picture really doesn’t do a justice, but here’s one. 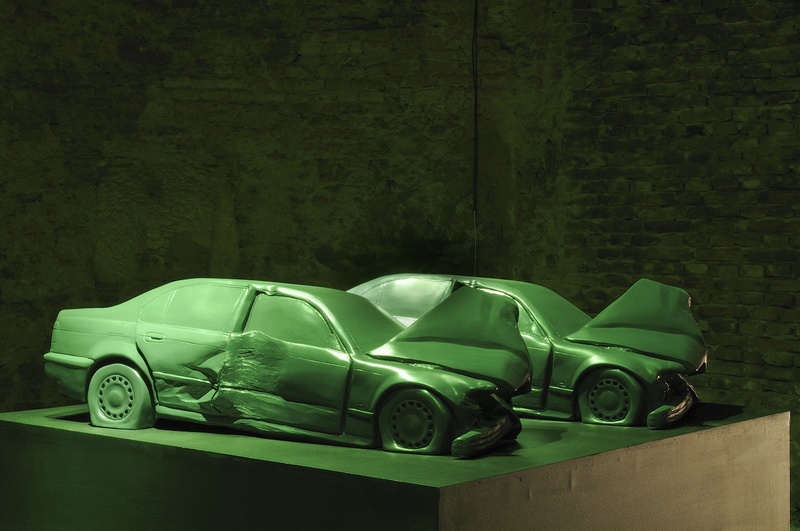 This entry was posted in Art, Berlin, Contemporary Art, Mold Making, Personal Interests and tagged Berlin, BMW, Budapest, Contemporary Art, Hajnal Nemeth, Kiscelli Museum, Mold Making, sculpture, thermal baths, Yes and Yes 2010 on April 13, 2010 by seanhwilliams. CHECK MA MAN BENNY ARSENAL EVERY FRIDAY NIGHT AT MAR BAR!! This entry was posted in Art, Personal Interests and tagged DJ Ben Arsenal, Haus, House Music, Music, Philadelphia, techno on April 12, 2010 by seanhwilliams. 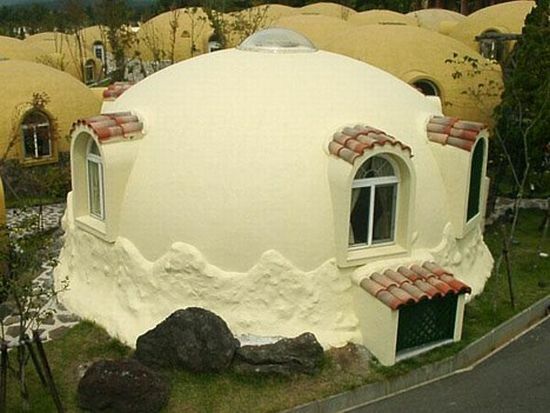 Domes, a fringe trend in architecture. In the end they all look pretty similar, but how one makes a dome varies. I got interested in building domes recently and I stumbled on a couple different methods. The first one is possibly the cheapest. After a coil-pot construction, the bags are then covered with adobe. Now, I know what you’re thinking… Domes are funny looking. Personally I would avoid any kind of porthole like shapes on my dome and stick to classical windows, but to each their own, neh? The second one I found was a Japanese company called International Dome Houses Ltd. The link here takes you to the introductory movies explaining how the process works, complete with Japanese school girl tour guide and jazzy advertising music. Love it! I got to give it to them, they made domes pretty fashionable and streamline, but these domes start at around $30,000 and they are only made of styrofoam! I wouldn’t want to live in a styrofoam house, would you? 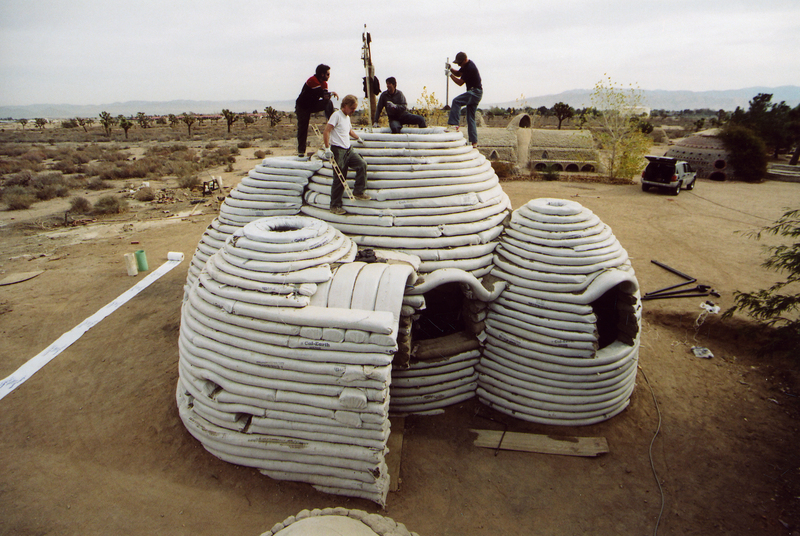 Not only that, but Monolithic Domes is also doing charity work all over the world natural disaster victims. Domes for the World. Then I found a video of some Aussies who are designing a village using concrete filled tires for the foundation. 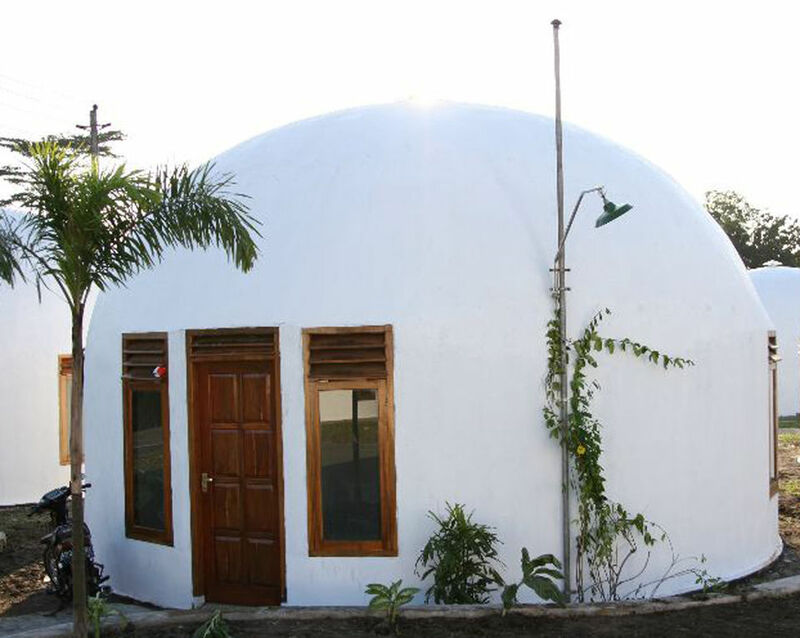 The model they are trying to promote as affordable housing for developing countries is called the Eco-Shell, and they are on average 28ft in diameter. They have no bathroom, but they make community bathing facilities, and you could always save up for a smaller dome addition! After seeing all these different techniques I came to one conclusion, I need to make me a dome. 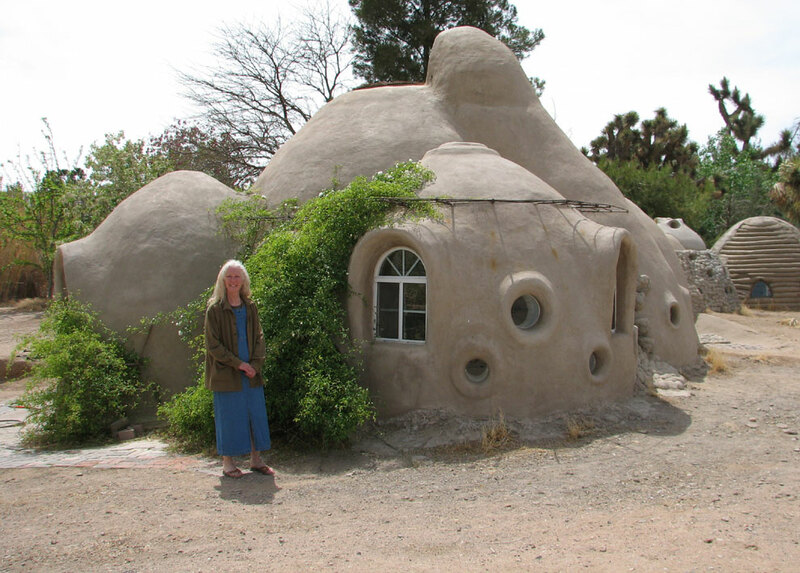 This entry was posted in Personal Interests and tagged dome, dome village, sandbag dome, sustainable architecture on April 12, 2010 by seanhwilliams.